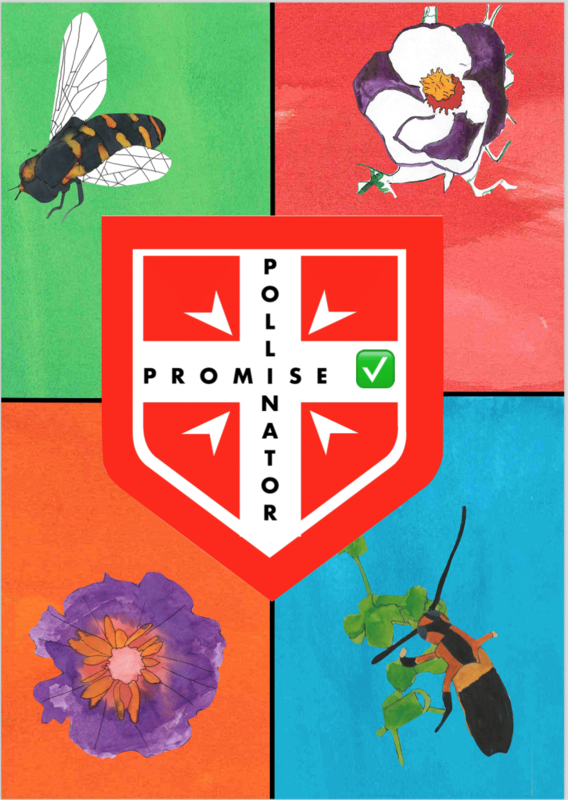 Pollinator Promise By Saint Alban’s CE Primary! Join in to save our threatened wildlife! 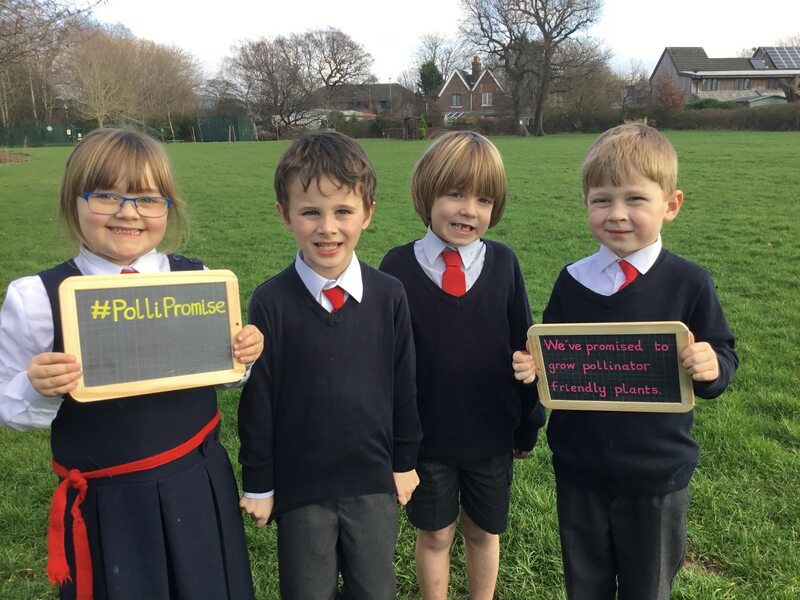 As a part of St Albans Primary School's involvement in the UK wide, ‘Polli:Nation’ project, they have developed a campaign to spread the message of the importance of pollinators and the need to protect them. When you sign up to the Pollinator Promise, you pledge to plant pollinatorfriendly plants in a pot or a 1 x 1 metre area in your garden, school grounds or business. Metre by metre, let people know Metre by metre, let pollinators grow! Through the Pollinator Promise campaign, children, staff and parents have an increased awareness of the importance of plants for pollinators and together the community has started to bring more colour to local gardens and open spaces. Pollinator Promise is led by the Hive, the schools pupil voice group. In Hive, they all work as a team, helping pollinators and trying to make the world a better place. Bees aren’t just buzzy things - without them we wouldn’t have most of our fruit and vegetables. Together, they learn to sow seeds and ﬁnd out about which plants are best for pollinators. We want people to join us and help give bees a ﬁghting chance. And follow the conversation on Twitter using the following hashtags! Polli:Nation is a Heritage Lottery Funded project, developed by Learning through Landscapes, in association with conservation charities. Good to see schools moving out of the classroom and in to the gardens. With youngsters like these there is still hope for our wild life. Is there a problem with my comment ? Great day yesterday at the EYE project Eco Summit at Worthing High School. An inspiring presentation, well done to you all. I went home and made sure my garden had all the correct things and topped up the water in the bird bath too! That’s great to hear Chris! Well done to Worthing High School as well. Great to see so many schools taking initiative ! Thank you Chris, from the pupils at St Alban’s and the 🐝🦋🐦! We had a wonderful day.